Kings County Brewers Collective on Troutman Street at Wyckoff Avenue will open this spring. Emilie Ruscoe for Bushwick Daily. Kings County Brewers Collective announced their plans for a new, large-scale brewery on Troutman St at Irving Ave that may become the neighborhood’s first such facility since the last of its once numerous breweries closed in the 1970s. The Kings County Brewers Collective members (From left: Lengyel, Kinney and Bellis. Photo Courtesy of Kings County Brewers Collective. Collective members Tony Bellis, Zack Kinney and Pete Lengyel anticipate that their brainchild, a brewery located at 381 Troutman St (right around the corner from the similarly monikered Bushwick Collective) will be operational by late spring this year, and they plan on starting production with six to eight different brews, which they will serve up in a taproom in the facility as well as self-distributing to bars and restaurants across the five boroughs. 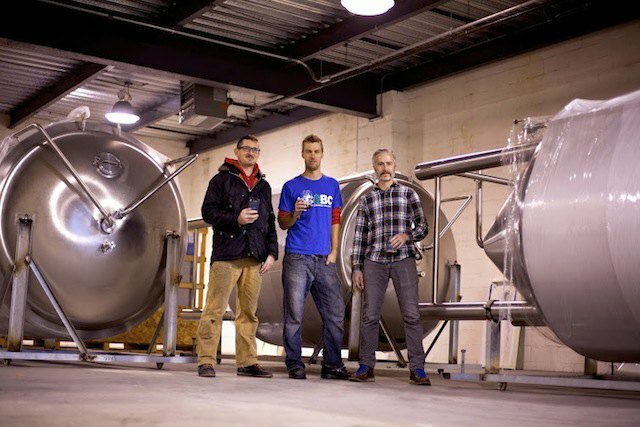 The three brewers come to their new enterprise from disparate backgrounds: Lengyel is a, former biologist; Bellis a veteran of the coffee and chocolate industries, and Kinney grew up home brewing. Bellis told us that it is their hope that their diverse interests and talents will provide a natural basis for collaborations with other breweries, chefs, artists and other local business owners. Pending a possible upset by Braven Brewery signing a local lease and quickly building out an operational space, (Braven is Bushwick based, but brews elsewhere in the state while they work towards their mission of “Bringing Brewing Back to Bushwick™”), Kings County Brewers Collective could soon be the first brewery in the neighborhood since F&M Schaefer Brewing Company closed its factory doors in 1976. 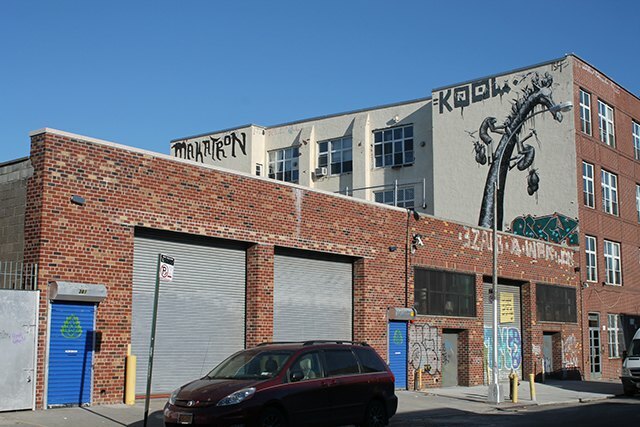 Will KCBC restore Bushwick to its former glory as New York City’s brewing capital? Whether they do or not, we'll see you there when they open their doors this spring. Keep up with the KCBC crew by subscribing to email updates on their website and following them on Facebook, Twitter and Instagram.